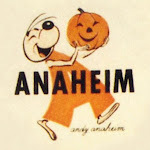 Got something weird and wonderful from Anaheim's past that you would like to show? Bring it! Special guest speaker and archivist Stephanie George, from the Cal State Fullerton Center of Oral & Public History, will share audio treasures from interviews with some of Anaheim's earliest citizens, including Charles Pearson and Kate Rea. After the presentations (1 hour), enjoy light refreshments and tour the Anaheim History Room and Research Center where docents will be on hand to highlight and elaborate on the collection. Be part of the Fun! Bring an object to share. Bring friends! Free Parking in the Center Street parking structure. Five couples became the “Second Wave” of leaders in Anaheim's historic preservation movement of the 1980s. Sally and Bob Horton were one of those couples. They bought their half-burned historic house in 1987, on the same street of North Claudina that Dinah and Larry Torgerson and Andy Deneau lived. (Of course, the first wave was Diann Marsh and Andy Deneau, the two founders of AHS.) Sally says she was always an “old house lover,” having grown up in downtown Huntington Beach in the 1960s with street after street of small Craftsman bungalows, living in a home her grandfather built piece by piece. But originally, that wasn’t Bob Horton’s sentiment. While working in the garment industry in downtown Los Angeles, Sally met Bob Horton, who worked with Larry Torgerson in the same business. Bob and Sally married and moved to Anaheim in 1981, where they rented a house near the Anaheim Cemetery. Sally remembers the night Bob took her to the Torgerson’s house. She fell in love with their house and became enamored with their stories of saving it. The Hortons went on house tours sponsored by AHS and learned that old downtown was being flattened by redevelopment. By this time, Bob, an optimist and dreamer, had completely bought into the “old house lover” mentality. They bought a historic but tiny house “pretty much move-in ready” at 308 North Lemon, across from Pearson Park. Eventually, however, with a growing family, they needed more space. Deneau, having run out of money for continued repairs on his mother’s large but vacant and fire-damaged 1911 house at 226 North Claudina, had put out the word to friends and neighbors that the house was for sale. It was in a state of almost complete disrepair, but Bob convinced Sally that they could finish it up. In 1987, with the support of friends and some members of the family, the Hortons “jumped off the cliff” and decided to purchase the house. Buying and moving into that house wasn’t easy...for two reasons. First, the Hortons barely met the bank’s lending requirements, and the house might not pass the home inspection. Nonetheless, they persevered; the bank inspector “closed one eye,” and this wreck of a house became theirs for $130,000. Secondly, the house did not technically meet the city’s building code; that is, it was uninhabitable. After all, it was half destroyed by fire, and repairs to the plumbing, floors, kitchen, and electrical were not finished. To obtain the occupancy permit, Sally and Bob managed to get carpet laid and one of the bathroom faucets and a funky little toilet running. It took finesse and power of persuasion by Sally, but the city inspector also “closed one eye” and issued the Certificate of Occupancy. Two closed eyes. The Hortons proceeded to have work parties with neighbors, friends, and members of their church to set about improving their home. It took years. Oddly enough, Sally doesn’t remember either she or Bob saying, “What have we done?” To them, it was adventure, even though Sally recalled Bob’s mother coming over early on, standing in the living room and saying, “You are stupid” and then marching out. To the Hortons, though, buying that house was one of the best decisions they'd ever made. created a synergy and had in common a love for old houses and a desire to save them from demolition and replacement with high density multi-family housing. 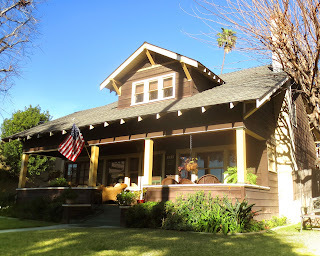 The Hortons were AHS members and became co-founding members of the Anaheim Neighborhood Association, which was opposed to the relocation of the “Backs” house directly across the street from the Horton’s home... a loss to their neighborhood. relocation and restoration of twenty historic houses in the Vineyard and Atchison Street projects in what would become the Anaheim Colony Historic District. Postscript: While Sally was working on completion of the Atchison project in 1995, Bob, at the age of 39, became ill and died. Sally used life insurance and a city rehabilitation loan to complete restoration of her house. In 2003, she sold her restored house and moved to Temecula with her three children. Still, she has fond memories of those days in Anaheim, where she was so instrumental in advocating for historic preservation.